“The kids really enjoyed the fundraiser and the people they asked were really excited about all your products. Does your school, sports team, music club, PTA, civic group, booster club or non-profit organization (minimum of 25 participants) need a fresh, new fundraising idea? 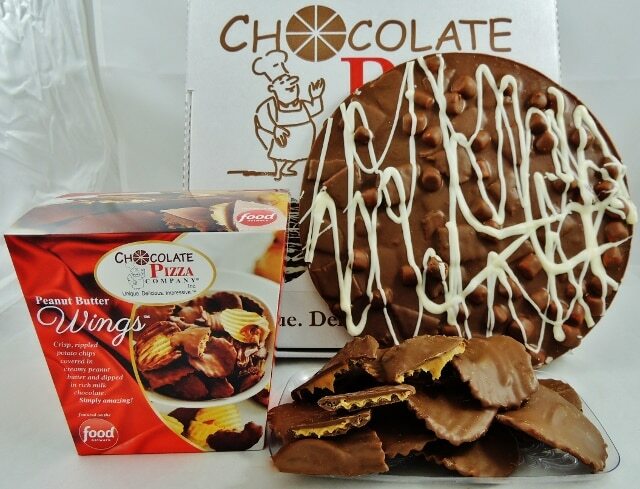 Chocolate Pizza Company offers a fundraising program that features some of our best-selling products including our famous Chocolate Pizza® and Peanut Butter Wings®. Many people who support fundraisers say they appreciate when a group uses a local vendor and we have been part of this community for 30 years. Our fundraising program also includes sales incentives to reward participants with fun prizes up to a $50 Amazon Gift Card. We make it so easy to run a campaign and our chocolate makes it so easy to be successful. Note: We approve a limited number of fundraisers a year so please contact Alyson ([email protected]) as far in advance as possible to determine if your requested dates are available. Many groups book a year in advance. Your first step is downloading the “Request a Fundraiser” form and sending that to Alyson. Completing a form does not authorize your campaign, only requests it. Alyson coordinates all fundraiser requests and gives final approval. We supply the full color product brochure and order forms, there’s no minimum order, no inventory to sell-through, customers pay your group directly so there is no waiting for your money and the best part is your group keeps 40% of every sale. We also prepare each participant’s order and match it to their form so that your group’s leadership or volunteers no longer have to breakdown the product by individual before returning the items to your participants. When you make your pick-up at our store, it will have the product that each participant sold bagged up with their order form(s) attached so all you have to do is hand it to each participant and let them distribute to their customers. Every order is double-checked for completeness and accuracy. It’s a service that saves you a lot of time. Chocolate Pizza Company is Central New York’s largest chocolate maker and has been featured nationally on CNBC, Hallmark Channel, CMT, Food Network and in Forbes, People and Entrepreneur magazines. Our Chocolate Pizza and Peanut Butter Wings are so unique they are trademarked. Our chocolatiers have been creating gourmet chocolate specialties for 3 decades and we are a name people associate with quality and service. We’re your hometown team. Large or small, we can make your fundraising efforts easy and successful. 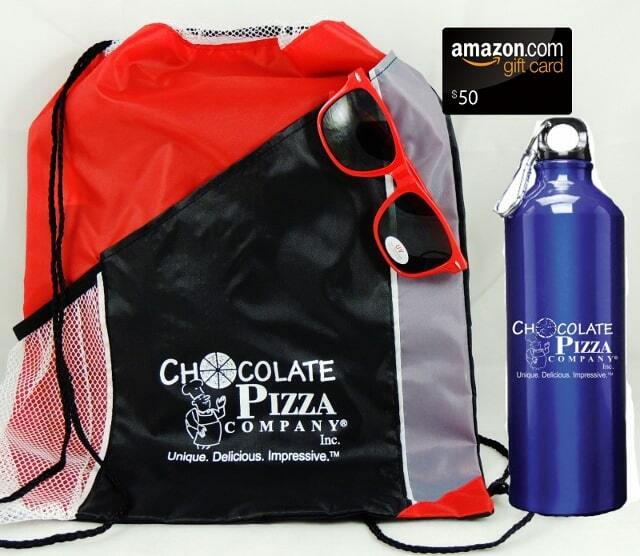 Contact Alyson today ([email protected]) about scheduling your group for a Chocolate Pizza Company Fundraiser! “You have been so easy and great to deal with ! !” Brooke M.
“It was a BIG hit ! !” Jordan L.